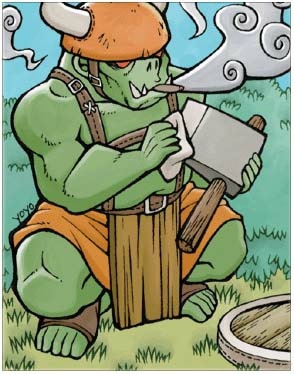 The most common Orc soldier. Even so, You can't underestimate its power. Since its duty is to guard the Orc Village, it never loaf on the job. It's always prepared and waiting for the enemy to come! Charge, For the Horde!